Arriving in style is always a wonderful and comfortable option. As we are now a kind of used to S- and E-Class Limousines, we did expect to find such an option of transportation again. In fact it was completely different: A Jaguar Limousine was waiting for us at arrival at Palermo Airport! 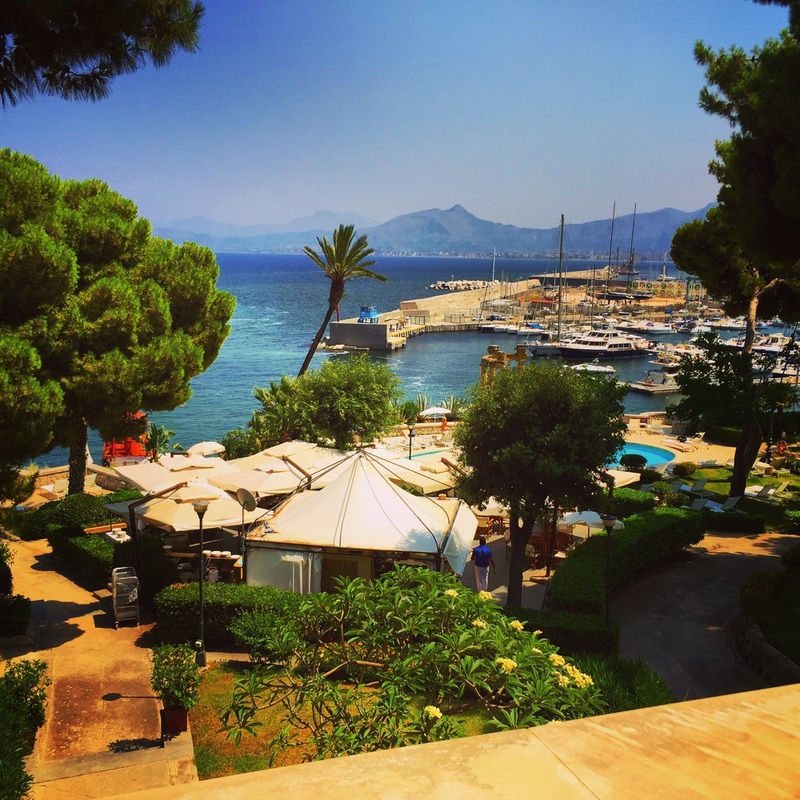 We were flashed and our glamorous experience at Villa Igiea began. 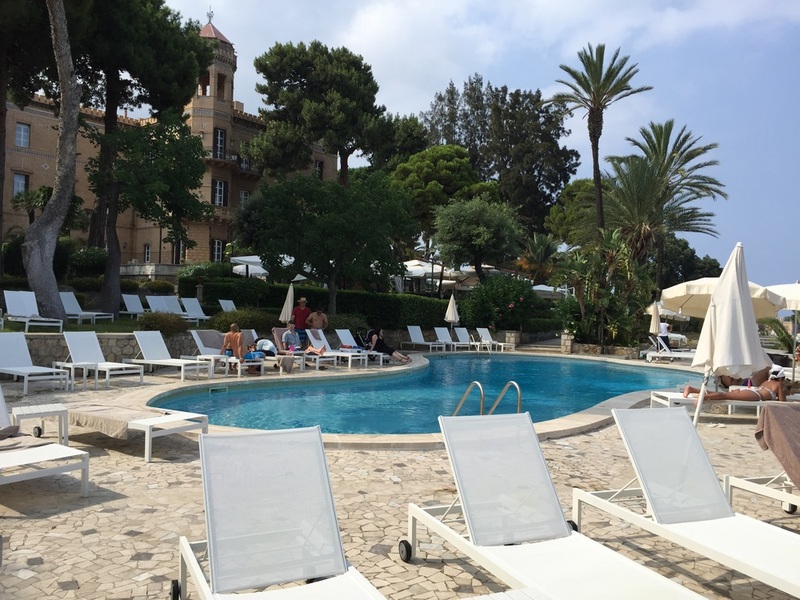 After 30 minutes of driving through unknown territory (I am kind of Italian Lover and know nearly every place of Italy - except Western Sicily and Sardegna) we arrived at one of Sicilys most iconic places to stay - the Grand Hotel Villa Igiea! Check-in was smooth and fast and within minutes a staff member was already on the way to accompany us to our lovely... Suite! 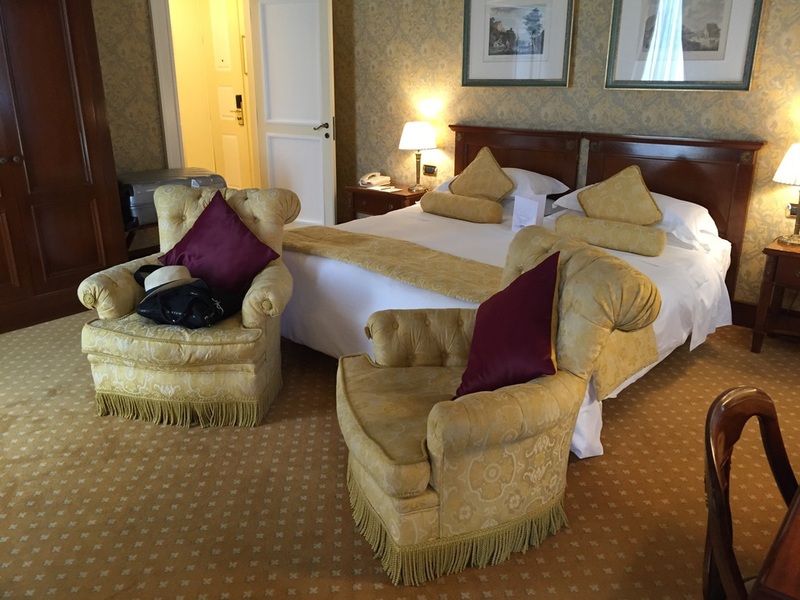 In fact it was the first suite upgrade we received during our trip after travelling to Berlin, Lisbon and Madrid. 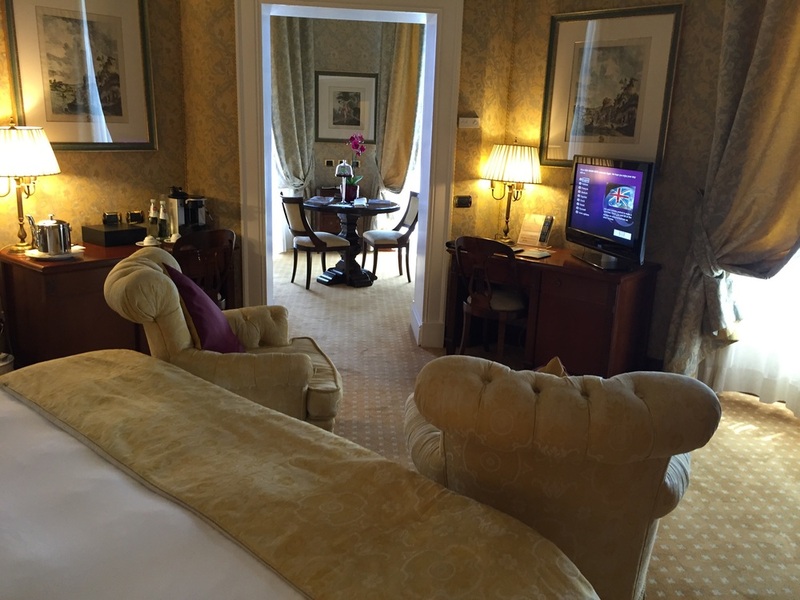 This Tower Suite was situated on the first floor and therefore had high and elegant ceilings. Upon entering the heavy door we knew that this is the right place to stay for us. A heavenly bed, spacious bedroom and a small living room in the tower. The views were towards the Mediterranean sea which was even better from our balcony surrounding the tower. Inside the bathroom there was a shower-tub combo, single vanity and toilet with bidet. Well the best were the big Molton Brown toiletries with a size of 100ml. 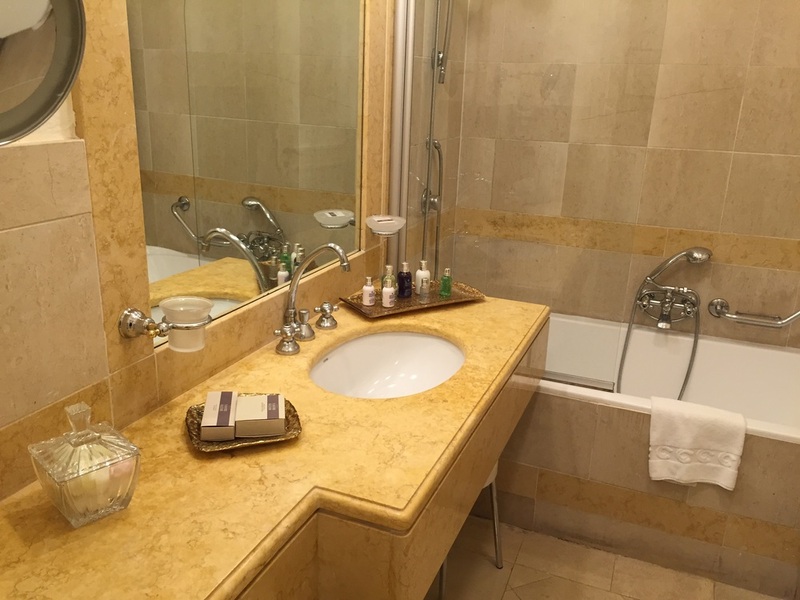 By the way at check-out I found out that the standard rooms have Ortigia (there is a small shop in front of the hotel) - if I would have known this earlier I would have asked all staff members to get this unique products. Before we were departing with the 1 o'clock train to Milazzo (to take the hydrofoil to Vulcano) we had breakfast at the terrace of the hotel. The buffet was vast with fresh fruits and excellent products - there was a cooking section where they prepared egg dishes in front of the guests. The cakes were good as well and the bread was not-italian-like - it was like in Central Europe and therefore perfect! We also tested the cool pool bar next to the outdoor pool. There we had a light lunch with burgers, which were quite good but relatively expensive. I would say that Grand Hotel Villa Igiea is undoubtedly the most exclusive place to stay in Palermo and perfect for every traveler going to the Aeolian Islands and seeking for an elegant layover. We loved the classical style and the royal atmosphere as well as the pool with its view of the harbour. We were guets of the hotel and enjoyed a free return airport transfer in addition to the overnight stay. Our above written expresses our own opinion.